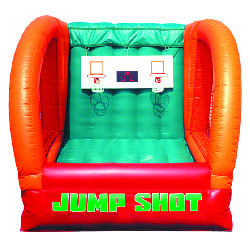 Basketball Jump Shot is a fun competitive head to head basketball game. It's scoreboard is an actual backboard. Perfect game for any competitive preteen, teen or adult. This unit has electronics that must be kept dry at all times.